The four main elements we rely on for our lives and wellbeing are air, water, earth and sunlight. If we take any of these forces away, then quite simply, we would not exist! There would be no life without the sun – but life with too much sun may not be good either. So, what is the 0.3 sunbed lamp all about? UVC, UVB and UVA – are emitted by the sun. UVC rays, the most dangerous to the human system, are filtered out by the upper atmosphere but some UVB (which can cause sunburn and eye damage) and UVA, reach the earth”s surface. The intensity depends on the angle of the sun – ie the geographical position, season and time of day. UV levels can increase by up to 50% between 11am and 1pm! 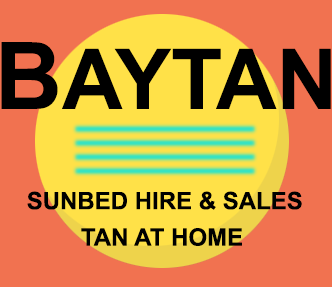 Sunbed lamps simulate the sun and emit UVA and UVB but they go a stage further and control the output with a balance of UV to minimise the risk of burning and maximise the tanning. As we know – no-one controls the sun! Sunbed lamp technology is subject to on-going research and development programmes to keep abreast of researched evidence on the effects of UV. Our natural skin colour is determined by skin pigment – melanin – and the presence and amount of melanin in an individual is determined by hereditary factors. When our skin is exposed to UV, cells deep in our skin – called melanocytes – initiate a process where more melanin is produced. This subsequently ‘browns’ as it rises to the skin’s surface producing a tan. UV also causes the outer layer of the skin to thicken. This is the body’s way of building up protection to UV and to avoid burning. People will react differently to UV rays – darker skinned people produce melanin more readily. The skin of some very fair people contains very little melanin and, even when exposed to UV, they cannot form melanin, so they will not tan in sunlight or on a sunbed. If the natural tanning process is rushed, sunburn will result. Our skin has a natural repair mechanism but if this is triggered off too frequently, it may become exhausted and result in permanent damage to the skin. Note: These skin types need to exercise precaution on initial exposure. Initial exposure should also be moderate. This particularly applies if living in the UK as natural skin protection factor is depleted through lack of regular exposure to sunshine. Any further questions please do not hestitate to contact us . Vitamin D- Did You Know…? Considered by many to be the foremost authority on vitamin D, Dr Michael Holick (Professor of medicine, physiology and biophysics at the Boston University School of Medicine, one of the USA”s top universities), recommends a daily amount of 1,000 IU is necessary to maintain a healthy level. It is very difficult to eat enough Vitamin D rich foods on a daily basis to achieve these levels. Most multi-vitamin supplements only provide 400IU of Vitamin D.
In natural sunlight the word ”unprotected” is very important, as SPF creams reduce the effectiveness of the body to produce Vitamin D from UV exposure by up to 97%. TRUTH: Although precautions do need to be taken, regular, moderate amounts of unprotected UV exposure are absolutely necessary for good health. Independent scientific research has shown that whether you live in a sunny or not-so-sunny climate, but expose yourself to sun, then your subsequent increased production of vitamin D will help lower the risk of a host of debilitating and fatal diseases including colon, breast, prostate and ovarian cancer, heart disease, high blood pressure, Type 1 diabetes, multiple sclerosis and depression. TRUTH: Since most multivitamins only contain 400 IU of vitamin D, you need to take two and a half a day to get the recommended daily dose of 1000 IU, thereby exposing your body to an overload of vitamin A, which in excessive amounts, has been associated with birth defects and osteoporosis. Vitamin D supplements provide the same benefits as sunshine but if taken in too large a dose, can cause vitamin D toxicity, whereas sun exposure does not. TRUTH: You cannot make vitamin D in the UK or any location above 40 degrees north in the winter months. However, if you get moderate exposure to the sun between May and October, the excess vitamin D is stored in the body”s fat, which can be released during the winter. TRUTH: Tanned skin protects you against sunburn, thought to be the main cause of melanoma. If you avoid getting sunburned, the benefits of moderate sun exposure will far outweigh the possible dangers. TRUTH: There is no credible scientific evidence that regular, moderate sun exposure causes melanoma. Melanoma is seen more often in people who do not receive this type of exposure than in those who spend time in the sun. Melanomas also usually occur on parts of the body that receive little or no UV exposure. This suggests that genetics plays a much more important role in the development of melanoma than does regular, moderate UV exposure. TRUTH: If you don”t have the opportunity to go out in the sun or prefer a more private and controlled environment, indoor tanning facilities represent a viable alternative to natural sunshine for stimulating your production of vitamin D. However, it is important to remember that the radiation that you are exposed to in an indoor tanning facility is the same as what you get from the sun. That means you need to take the same precautions that you would if you were in natural sunlight. TRUTH: Your ability to manufacture vitamin D diminishes fourfold from age twenty to age seventy. Older people are especially receptive to the alarmist warnings about excessive sun exposure and often decrease their exposure at a time when they need it most. Since vitamin D is directly linked to bone health, this age group should be more concerned about fracturing a hip because they are vitamin D deficient, than the risk of getting wrinkles or skin cancer. Age: The older you are, the harder it is for your skin to make vitamin D from sunlight. Lifestyle: The more time you spend indoors during daylight hours, the less opportunity you have to make vitamin D.
Geographical Location: In the UK with its relatively long winters, you get less sun over the course of the year because the sunlight isn”t strong enough to make vitamin D in the winter. Race: People with very dark skin, especially those of Asian and Afro-Caribbean descent find it difficult to make vitamin D from limited sunlight. already have extensive skin damage due to sunlight. The International Commission on Non-Ionising Radiation Protection (ICNIRP) has recommended not to use UV tanning equipment for non-medical purposes. Type I – Often burns, rarely tans. Tends to have freckles, red or fair hair, blue or green eyes. Type II – Usually burns, sometimes tans. Tends to have light hair, blue or brown eyes. Type III – Sometimes burns, usually tans. Tends to have brown hair and eyes. Type IV – Rarely burns, often tans. Tends to have dark brown eyes and hair. Type V – Naturally brown skin. Often has brown eyes and hair. Type VI – Naturally brown/black skin. Usually black/brown eyes. Your UV tanning equipment operator should advise you on your skin type and guide you on how many minutes you should limit your session to. The EU Scientific Committee on Consumer Products states that people with skin types I and II should not be advised to use UV tanning equipment. If you have skin types III, IV, V or VI your operator should guide you on how many minutes to limit your session to. In the UK, the incidence of malignant melanoma is increasing at a faster rate than any other cancer except prostate. Using UV tanning equipment when young, increases the risk of suffering from skin cancer in the future. Premature ageing of the skin. In the longer term, too much use of UV tanning equipment will make your skin look coarse, leathery and wrinkled. Spending too long on UV tanning equipment can cause your skin to become painful and red, and it may blister and peel. Burning the skin from UV exposure can double your risk of skin cancer in the future. Never use the UV tanning equipment without eye protection. If suitable goggles are not worn you may suffer eye irritation or conjunctivitis in the short term, and cataracts (clouding of the lens of the eye) in the long term. Do not rely on closing your eyes or using cotton wool. Don’t use cosmetics, deodorants or accelerants while tanning. Wash off any such products on your skin before using the equipment and make sure the equipment is clean before using it. Make sure you are medically fit to use the UV tanning equipment, and that you are not taking any medication, including alternative medicine and therapies, that could increase the sensitivity of your skin. Some conditions can make you more vulnerable to sunburn. Tell staff about your normal reaction to sunlight so they can advise you whether to use the equipment and if so for how long you can do so without burning (remember, using UV tanning equipment carries health risks even if you do not burn). See Know your skin for further information. If you notice any abnormal skin reactions during the tanning session stop exposure at once and do not use UV tanning equipment again before seeing a doctor. If you notice any abnormal skin reactions after the tanning session do not use again before seeing a doctor. Seek medical advice promptly if you notice an unusual skin growth or a change in the size, shape or colour of a mole that occurs over weeks or months. Make sure you understand how to use the equipment, how to turn it off and to locate the emergency button (or call for help if there is no button). Protect you skin in the sun. A tan obtained from UV tanning equipment provides very little protection against sunlight. Always protect your skin from excessive exposure to the sun.